Chicago was blasted by its fifth-largest snowfall at the beginning of February, so it was only natural for me to head to the Morton Arboretum to snowshoe! 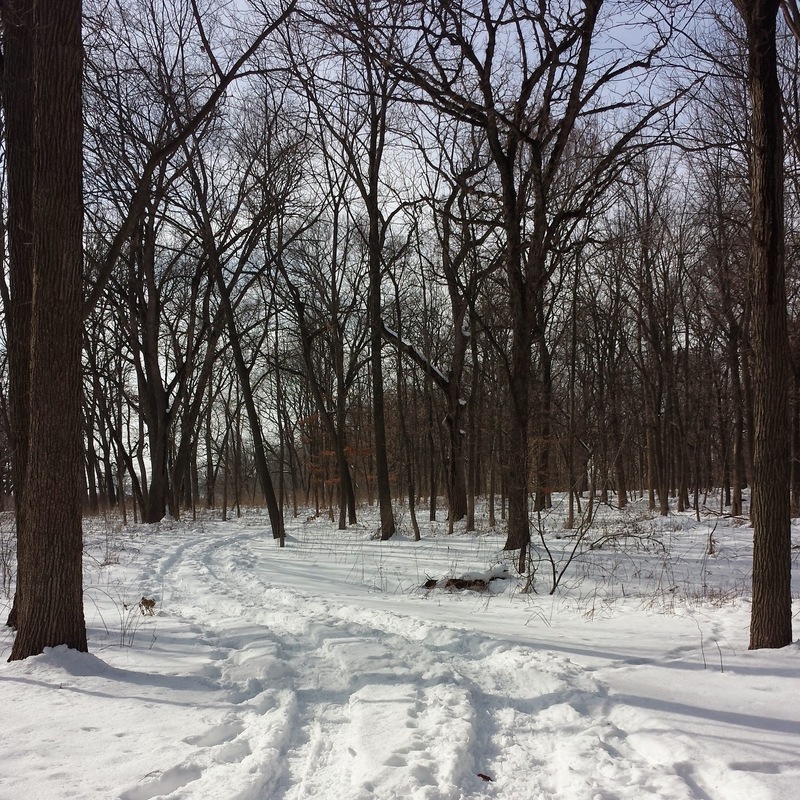 The warm temperatures during the week meant some of the snow had already melted away, but there was still plenty of snow left over and lots of untouched spots at the Arb. Bonus: temperatures were in the 30s, so it was a pleasant way to spend an afternoon at my favorite spot in Chicagoland. 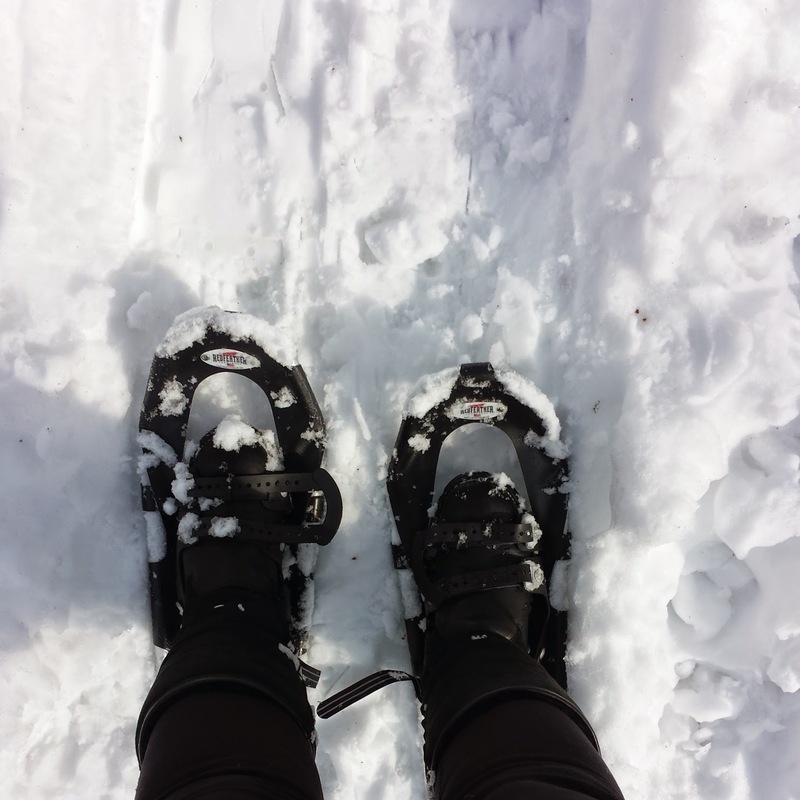 The Arboretum has 1,700 acres for members to explore, and when there's at least four inches of snow on the ground, you can explore nearly anywhere on snowshoes. If you're like me and don't have your own, you can rent them for as little as $10. When I rented mine, the rental trailer was mobbed with people who wanted cross-country skis; they could not keep up with the demand. I only had to wait a few minutes and got to go to the head of the line because I was one of the few people who wanted snowshoes. Following one of the paths on the east side of the Arboretum. 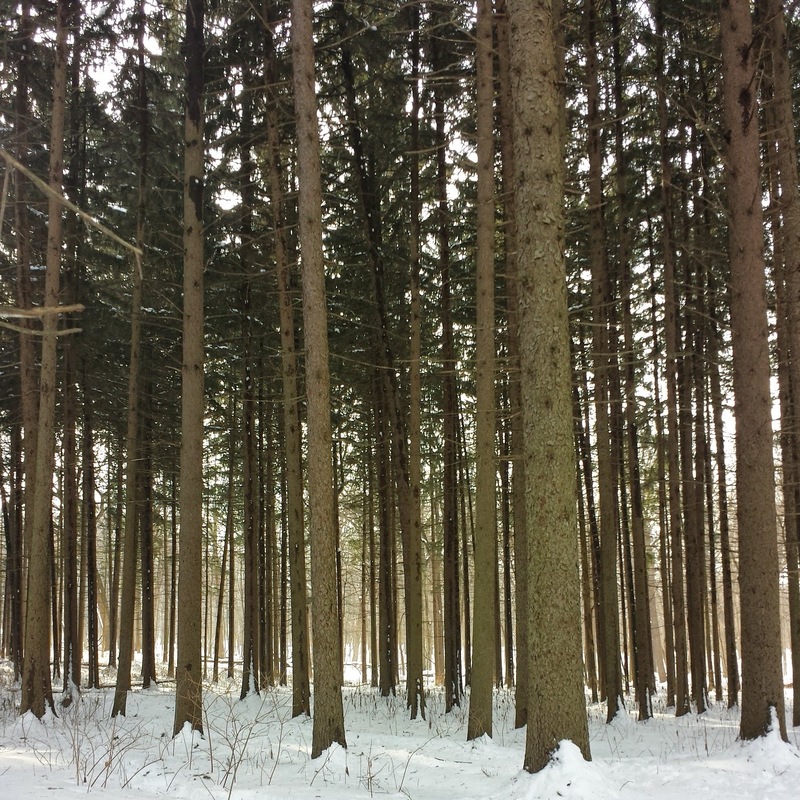 One more of the Spruce Plot -- the light changes, depending on where you are.